Offer your customers cotton candy in a new alternative way – in a cup. If you have a few minutes, you can fill the cups and make them ready for quick and easy sales when it gets busy. 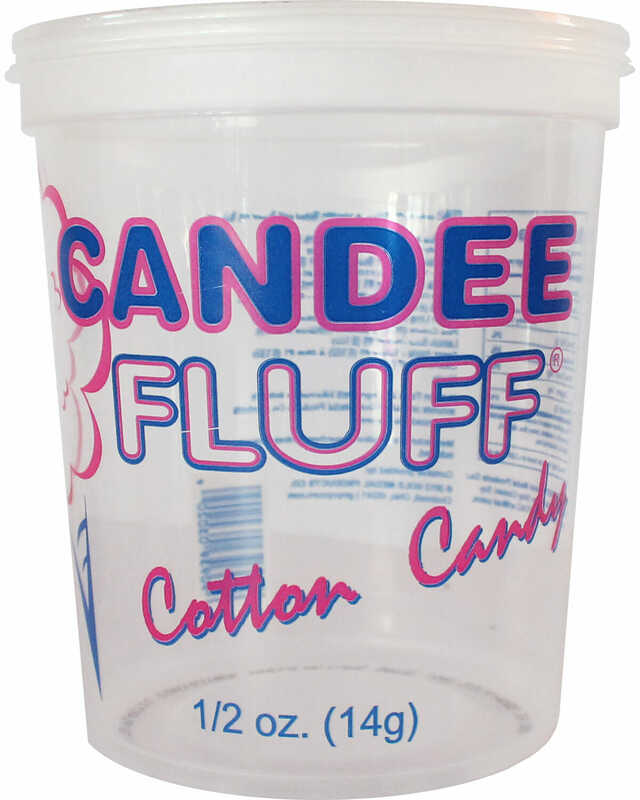 The Candee Fluff container keeps the taste and scent of fresh cotton candy and looks incredibly inviting. The containers are available in packs of 400.